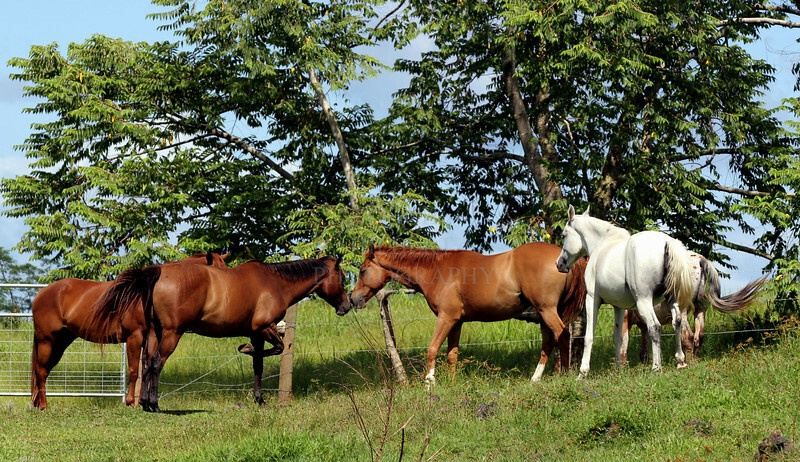 Having vast open grasslands along the coast and foothills of the volcanoes, these beautiful horses become semi-wild. ~ HORSE TALK ~ Island of Hawaii - farm. When purchasing this as a print, it will require some cropping, for any of the available print dimensions, to achieve a full image (leaves white boarders top & bottom). Select, "no-crop" on the purchase page and then your desired final print size.